1. In a large bowl, combine flour, salt, and pepper. Tenderize chicken breasts and toss in flour mixture. 2. In a large skillet, heat olive oil over medium-high heat. Add chicken to skillet and cook 5-10 minutes, until done. Remove from pan. 3. Add mushrooms and prosciutto to pan and sauté 5 minutes. Add in butter and wine. Whisk until butter is melted. 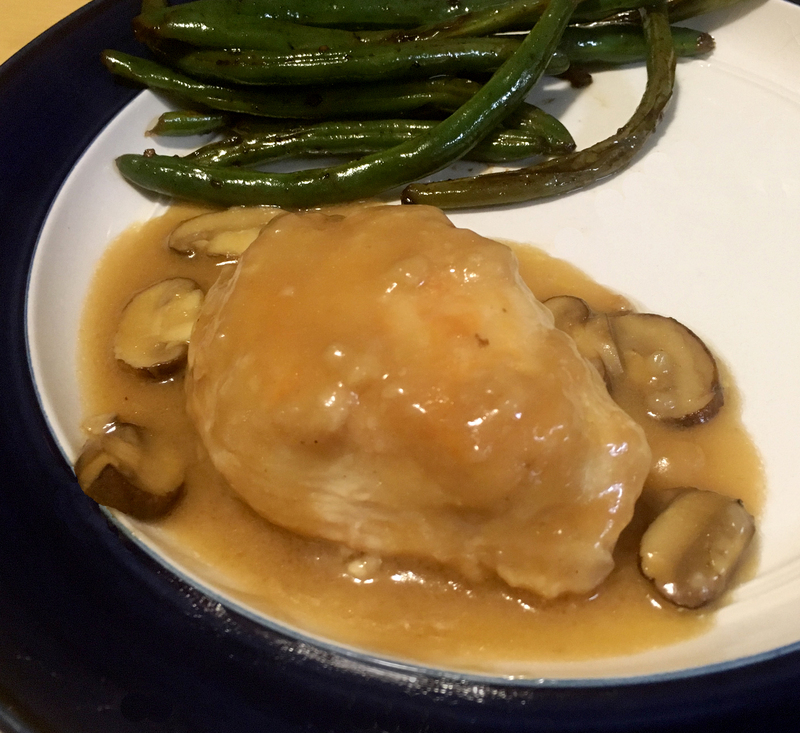 Replace chicken and cook several minutes until marsala sauce is creamy. Serve with veggies and rice.